What do you do when you’re a small World War II shooter with a dwindling player base and gigantic publishers have just launched similarly-themed games that threaten to eat what’s left of your lunch? Well, one answer is to offer cash to people who play your game, and that’s just what Battalion 1944 is doing. Battalion 1944 is a solid but relatively obscure multiplayer shooter set in World War II, with a laser focus on accuracy that you might be forgiven for thinking certain vocal minorities of the gaming public would be sure to appreciate. But as a multiplayer game, it’s suffered from low player counts – to the point that players have been leaving “mostly negative” reviews on Steam in the past month. 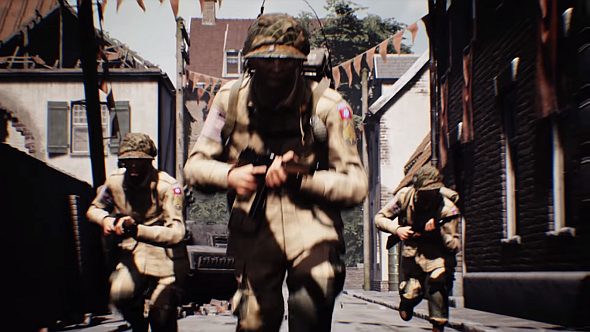 Perhaps to reignite interest in the game, developers Bulkhead Interactive has announced the first open tournament for Battalion 1944, offering a prize pool of $50,000. Here’s our list of the best World War II games on PC. The tournament will host 16 teams, twelve of which will earn berths through open qualifiers in July and August. Ten qualifying teams from Europe and two from North America will join four teams selected on as-yet-unannounced criteria by developers Bulkhead Interactive. Here’s the tournament announcement trailer. The tournament itself, dubbed “The Blitzkrieg Masters,” will go down in Amsterdam, running from September 27-30. Registration opens July 1, and you can find out when the qualifying rounds are at the official site. If it sounds like something you’d be interested in, start honing your chops and recruit some friends.